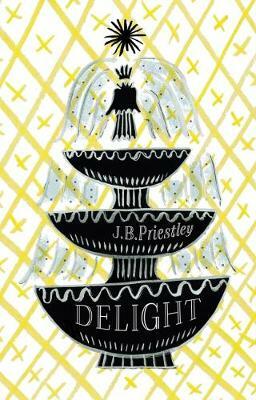 J.B. Priestley’s pint-sized celebration of simple pleasures is a gem. The perfect antidote to modern stress and mayhem of all things Christmas. In the years following the Second World War, there didn't seem much to smile about, but as JB Priestley illustrated in the classic 1949 Delight, there are many joys to be found in even the simplest things. This charming book comprises a series of short essays, which all depict a simple pleasure - the smallest things in life that Priestley delighted in at that bleak time - a notion that chimes perfectly with the current national mood. Just some of the simple things Priestley enjoyed include; fountains; a walk in a pine wood; a new box of matches; Sunday papers in the country; reading in bed about foul weather; suddenly doing nothing and waking to smell bacon. A very personal book, it is superbly written and very readable with Priestley's sense of humour and literary flare in evidence on every page. The new 70th anniversary edition of Delight contains the full, unabridged text of over one hundred of Priestley's personal joys and pleasures, and includes an introduction written by Priestley's son, Tom. It is beautifully designed and printed, making an ideal gift book.